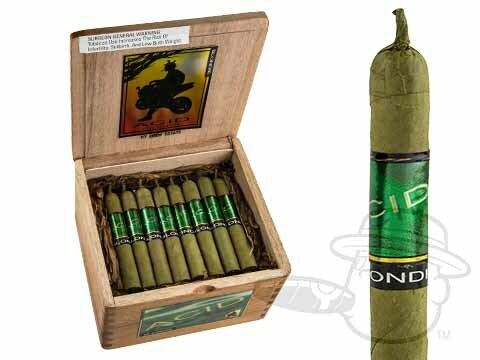 Acid cigars are made of Nicaraguan filler and binder tobaccos in wrapper leaves including Cameroon, Candela, Connecticut, Maduro, Natural, and Sumatra. 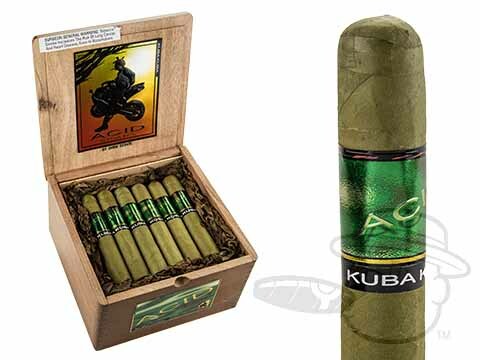 These aromatic cigars are infused with the finest herbs and botanical essences, making them unique from other flavored cigars. 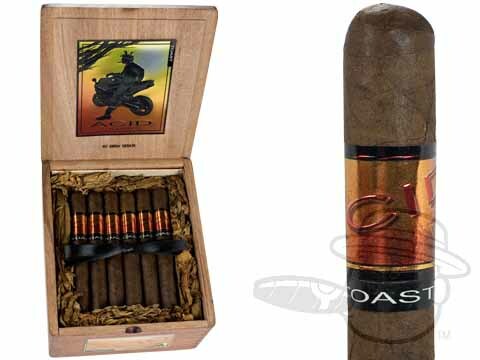 For smokers who value the size of cigars, we offer a selection of 3 ¾ to 7-inch to match your preferences. 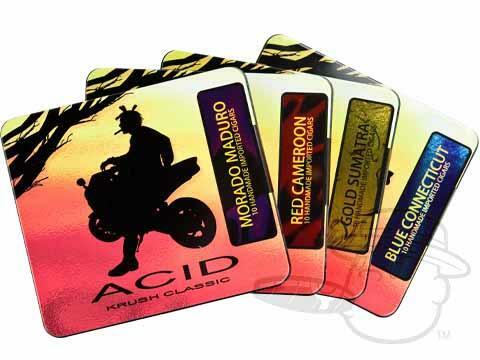 Find mellow to full strength from Acid lines like Acid Blue, Acid Red, Acid Gold, Acid Purple, Acid One, and Acid Opulence 3. 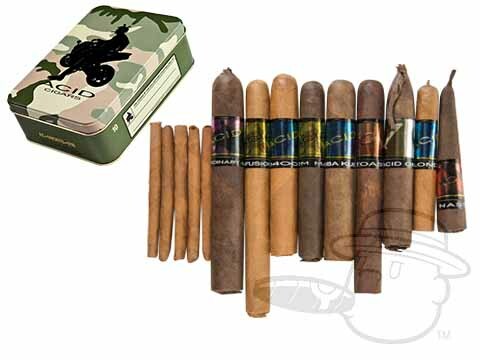 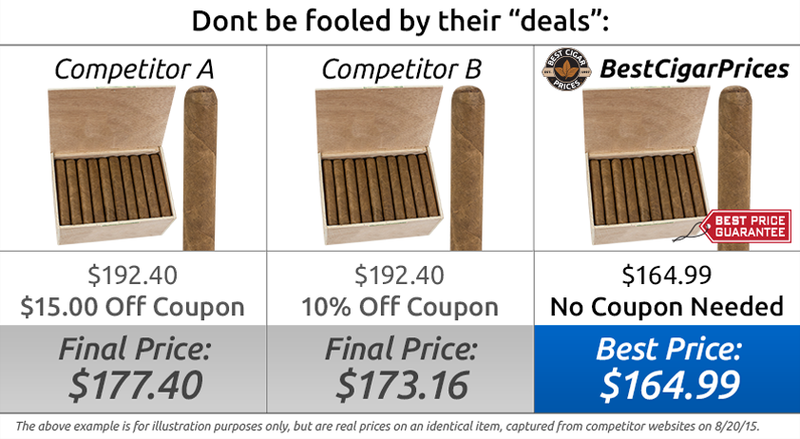 Best Cigar Prices offers bulk quantities and smaller units at the lowest prices online. 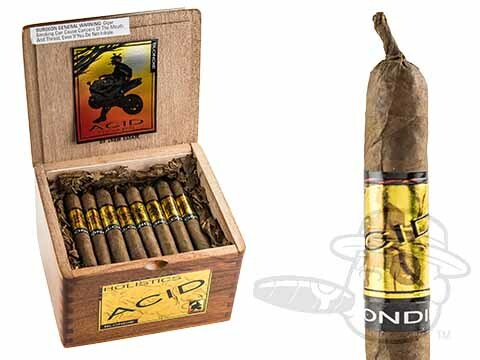 What is an Acid Cigar? 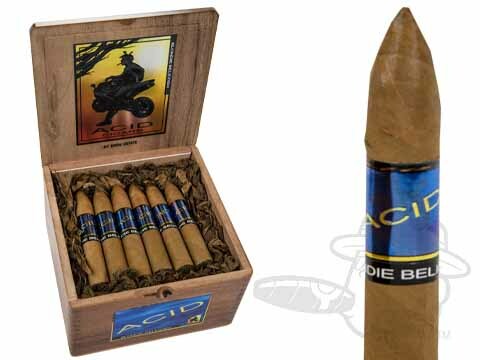 Acid Cigars - We’d love to explain to you exactly how Acid cigars achieve their unique taste and aroma, but the Acid Cigars infusion process is one of the most closely-guarded secrets in premium cigars. 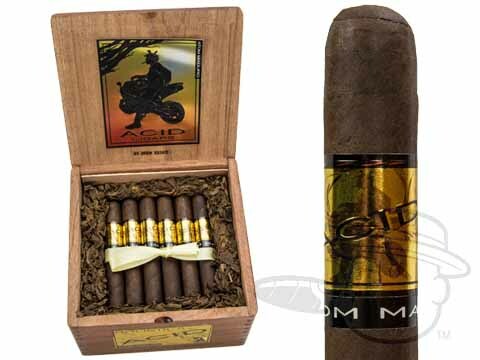 We do know that over 150 natural oils, botanicals, and spices are used in these one-of-a-kind handmades. 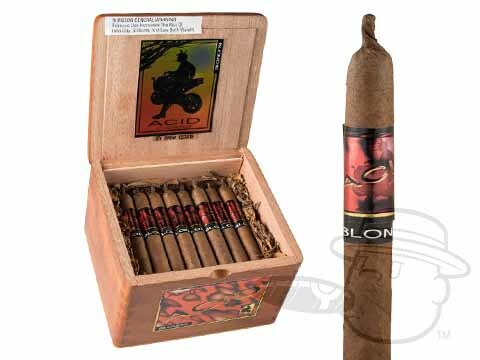 The key to Acid cigars satisfying taste is that premium whole-leaf, Nicaraguan long-filler tobaccos are used in every stick, providing a base of high quality tobaccos to soak up the exotic seasonings. 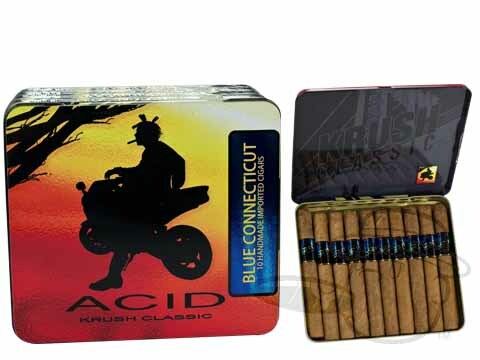 Despite this, the unprecedented Acid cigars recipe of matching unique infused cigar blends with “new-school” branding and packaging was a major hit with post-Cigar Boom aficionados. 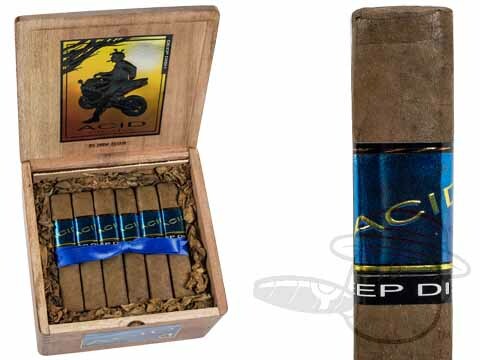 NYC artist Scott “Acid” Chester’s hip artwork and package design helped establish a cool and modern image for the fledgling cigar brand. 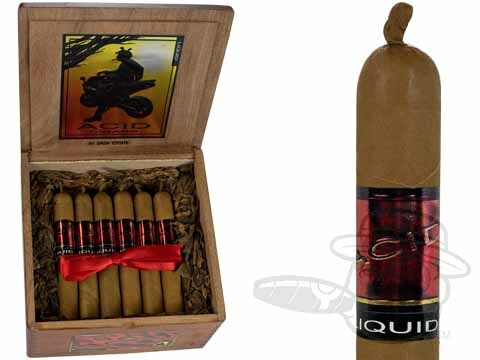 This winning formula has only gained momentum over the year’s as more and more modern cigar-lovers across the globe discovered the one-of-a-kind taste and essence of Acid Cigars. 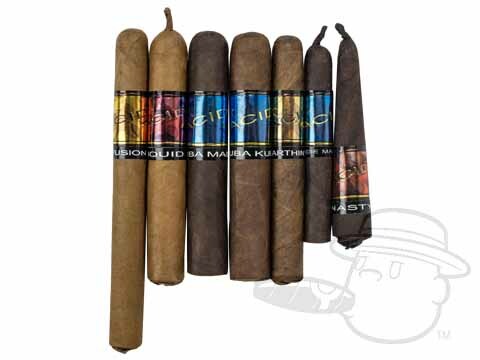 Acid Cigars are categorized into four distinct groups, with the color of their bands indicating the strength and body of each particular infusion. 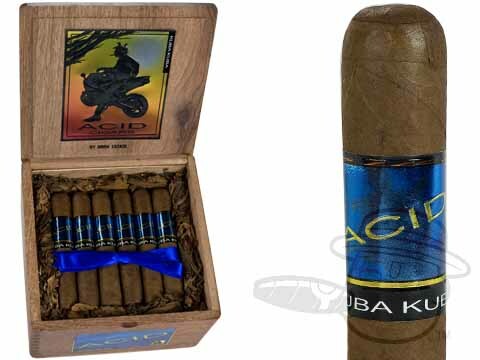 Acid Blue is used for the mega-popular Acid Blondie and Kuba Kuba cigar lines, as well as Acid’s unique 1400cc and Wafe cigars. 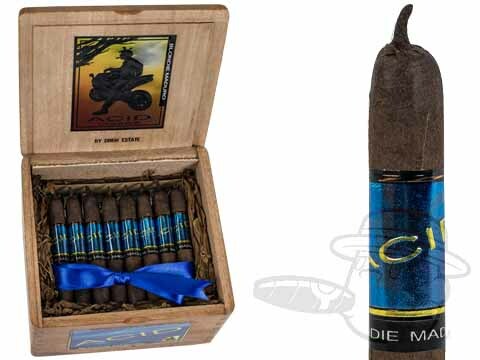 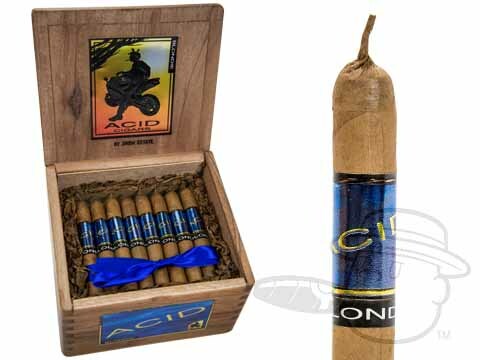 Acid cigars with the blue band are mellow-medium in body with a sweet and very aromatic infusion. 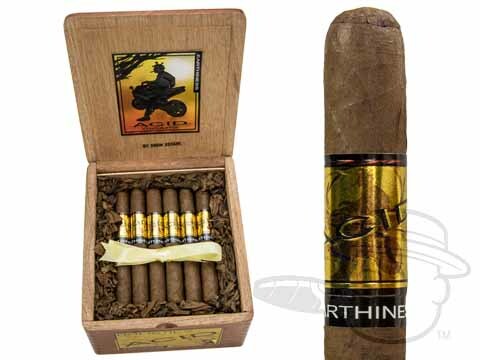 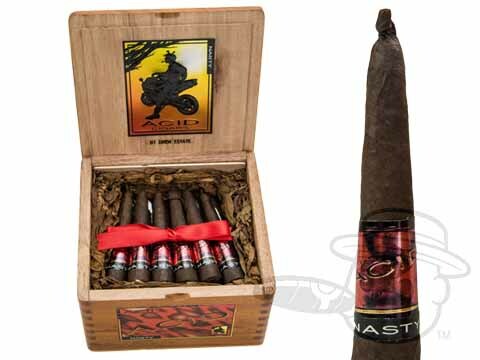 Acid cigars Red line cigars including Liquid and Nasty are blended using a robust recipe of ripe black tobaccos. 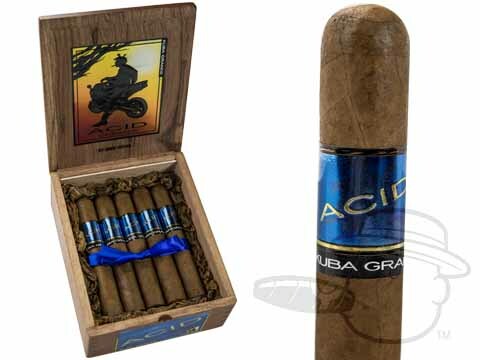 A touch bolder then the Blue line, Acid cigars bearing the Red bands are known for their robust aroma and satisfying medium body. 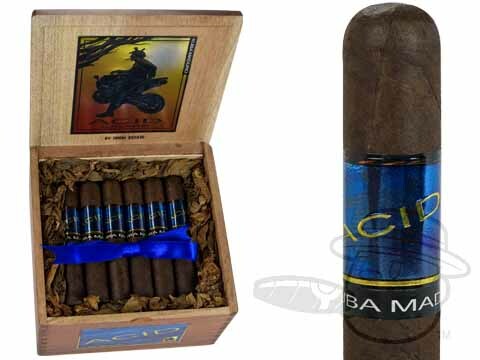 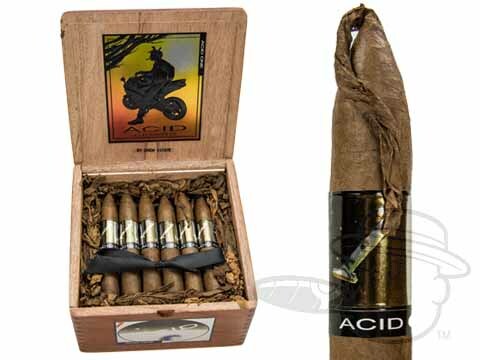 Acid cigars bearing the Gold bands like Cold Infusion Tea, Acid Atom Maduro, and Acid Earthiness offer a light and refreshing aroma and flavor. 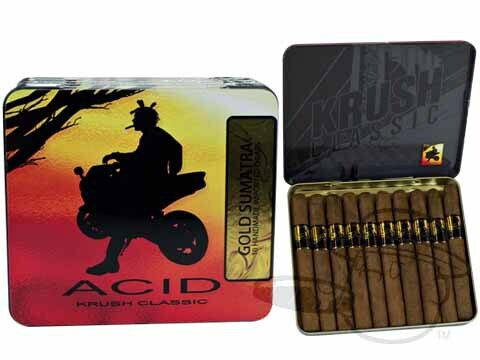 Blends with the Gold bands allow the natural flavors of their tobaccos to shine through and co-mingle with their infusions. 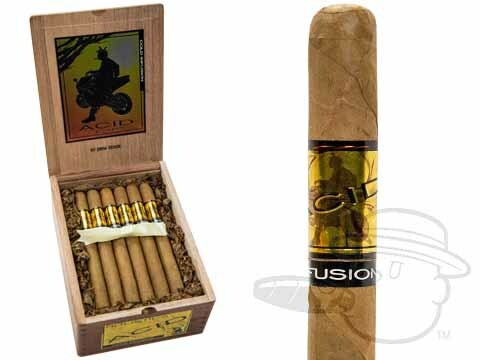 Because of this, Acid cigars that wear the Gold band are the most likely of the Acid cigars to appeal to traditional cigar smokers. 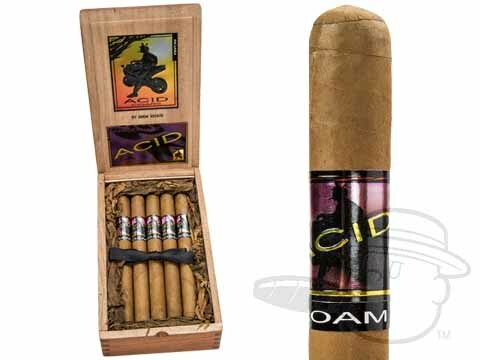 Acid cigars Purple line including Roam and Extraordinary Larry are creamy and complex with adventurous flavor profiles. 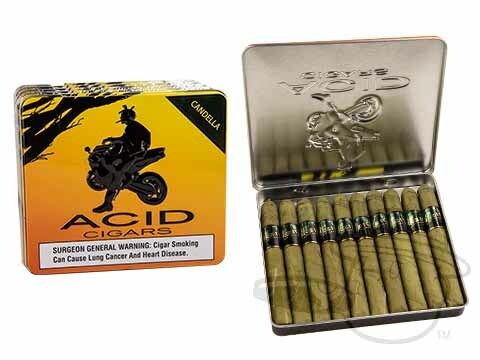 Each puff of an Acid Purple cigar conveys a range of interesting flavors that will keep you coming back for more. 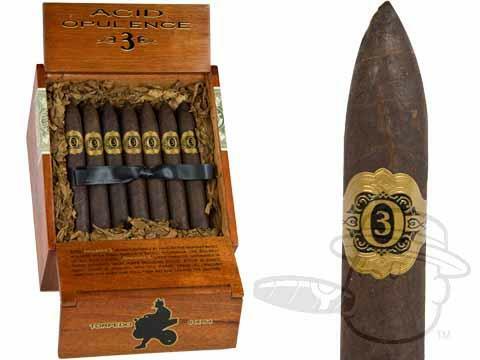 The Acid One cigar is very unique in that it’s the only cigar in the original Acid cigars portfolio that is not an aromatic cigar. 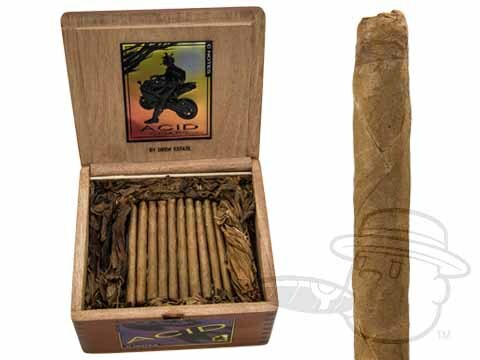 The tobaccos used for the Acid One are cured with five select premium red wines, all from different countries. 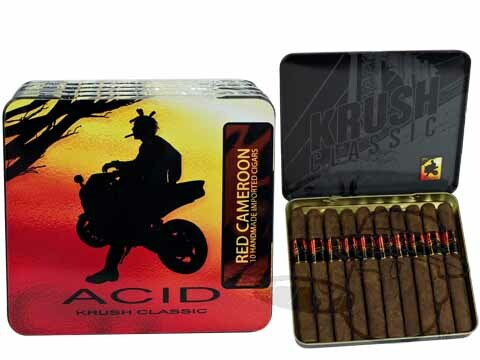 The Acid One is wrapped in a tasty Cameroon leaf that has been cured for an additional ninety days. 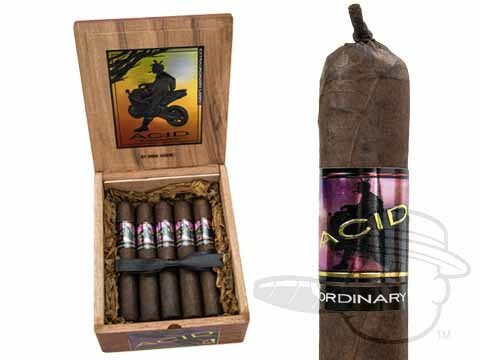 A fantastic after dinner cigar, the Acid One cigar stands out from the crowd and has become a favorite among many of our customers. 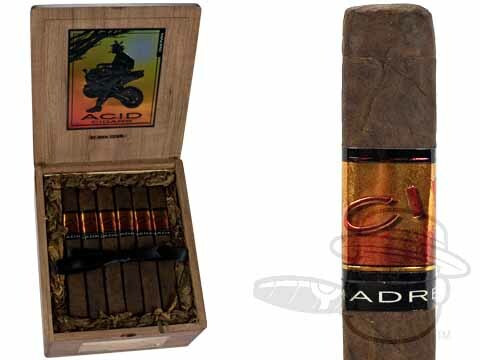 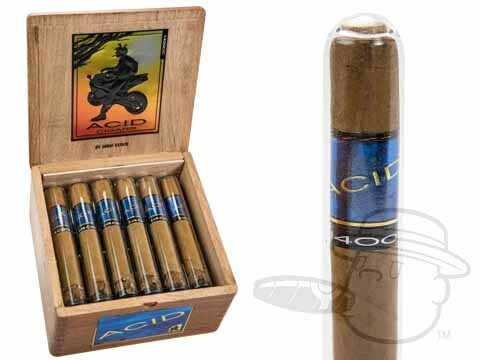 If you're new to Acid cigars we'd suggest giving the Acid cigar sampler a try. 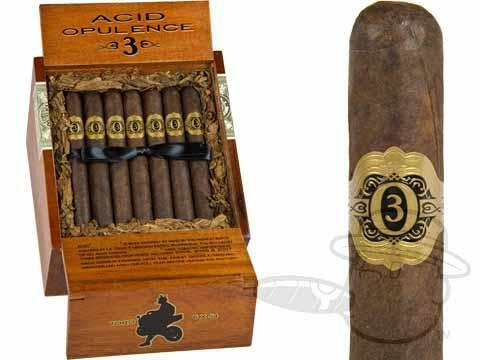 Offering an array of Acid's top flavors, it's sure to please any cigar smoker's palate. 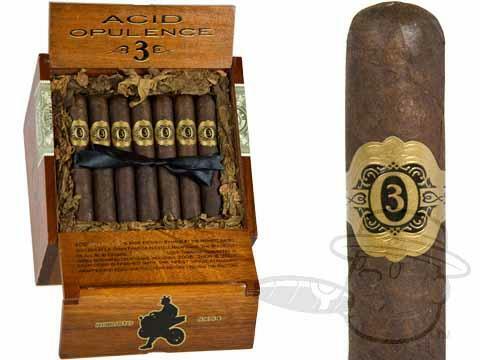 Whichever blend you choose, you’re in for a treat like none other; the innovative Acid cigars are in an incredibly delicious league of their own. 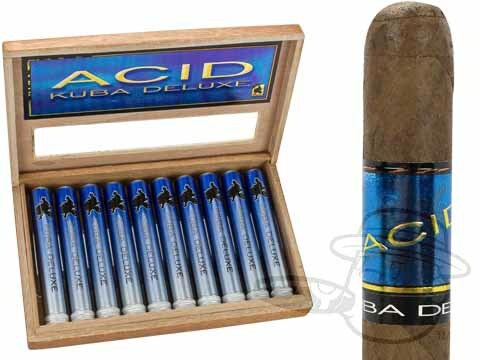 Browse our generous selection of Acid cigars for sale, at the lowest prices online, here at Best Cigar Prices!